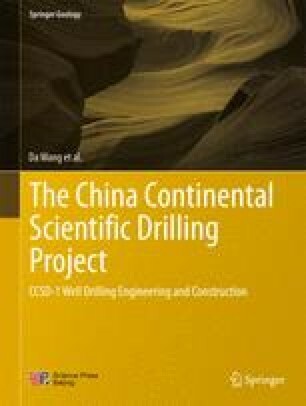 CCSD-1 Well is located at the southwest of Donghai County, Lianyungang City, Jiangsu Province, and 18 km (Fig. 3.1) from Donghai County. There is a south-north village byway on the west side of 100 m from the well site, and a village highway (Fengquan Road) on the east side of 300 m from the well site. About 2 km along the road to the south is Maobei Village; about 3 km along the road to the north is just jointed with Xuzhou-Lianyungang Highway, from which is about 15 km to Donghai County. Shihu Village Railway Station of East Longhai Railway Line is 8 km away on the north side of the well site, and Lianyungang Port and Airport (Baitabu) are respectively 86 and 32 km away on the east side of the well site.